What type of service does your agency provide? Freedom Home Care is the ideal solution for aging adults who want to maintain their independence and dignity by continuing to live in the comfort of their own homes. Our caregivers make their lives easier by performing many of the tasks which have become difficult and tiring. Freedom Home Care provides a wide array of services, including companion services, personal assistance services, medical services, live-in care and case management. What should I look for in a home care agency? Are your aides certified by the State? Do you perform criminal and DMV checks against your aides? Do you provide RN (Nursing) supervision? Does your agency take care of complete employee payroll responsibilities? The answer to all of these with Freedom Home Care is yes! What is the difference between home care and home health? Differentiating between home care and home health can be confusing. So here are a few key differences. Home Health Care is clinical medical care provided by skilled medical professionals and is often prescribed as a part of a care plan following a hospitalization. Services include therapy, skilled nursing and wound care. Home Health Care agencies are also often Medicare certified agencies. Home Care, like services offered by Freedom Home Care, provides non-clinical services such as activities of daily living, personal cares, housekeeping, meal preparation, medication reminders and companionship. Many families find that utilizing home health and home care in tandem can be very beneficial for an aging adult who, for example, is recovering after a hospitalization. The home health staff address clinical and rehabilitative needs during the transition home, while a home care aide can help with personal caregiving and household chores that the aging adult requires assistance with during his or her recovery. Our case managers and nurses can help determine the care that is appropriate for each client’s needs. Coordinating resources and providing peace of mind is what we do. Why Home Care? Why live-in? Home care provides a more cost-effective, comforting alternative to long-term care. In fact, studies have shown that patients do better at home both physically and psychologically. Live-in care provides continuity of care, and peace-of-mind for client and family. How do my family and I determine the level of care needed? Freedom Home Care conducts a free in-home assessment with each client to determine their home care needs. One of our registered nurses and our client care manager meet with the client and family to determine care needs. We also take into consideration information received from their case managers, social workers, discharge planners or physicians. What is your intake and assessment process and how much does it cost? The in-home assessment typically takes about an hour. After that we are able to set up care in a reasonably short amount of time. The assessment process not only helps us determine the care needs of the client, it also helps us to match them with the right caregivers. Caregivers are chosen based on their skill level and personality that will fit best with the client. Do you involve the client and his or her family in developing a plan of care? Freedom Home Care will determine the plan on care with the client and their family while taking into consideration the information received from their case managers, social workers, discharge planners or physicians. Often times, family members are also contributing in caring for our client, so we work with them to schedule care based on their biggest needs. For example, covering the daytime hours when family members are at work. Do you consult the client’s physicians and family members? Regarding client’s physicians, we review discharge instructions and if we deem it necessary, we will have further consultation with physicians. All of our staff are trained on confidentiality and HIPPAA and it is an area that we review with them on an annual basis. If the client is okay with us contacting the family members, then we do so. We like to keep open communications with families of our clients. There are some clients though that do not want their family members contacted and we have to respect that as well. What procedures does the organization have in place to handle emergencies? Freedom Home Care is available 24/7—365 days a year. We have an after-hours answering service and someone on-call at all times to handle any emergencies that may arise. We also offer an emergency contact service through our case management team in the event our client may need to be taken to the hospital, emergency department or clinic unexpectedly. Do you help to coordinate medications and do medication reconciliations for clients? We offer a full spectrum of medication management services, which are overseen by our registered nurses. Is your agency able to transport people to medical appointments, adult day programs, etc.? Yes! We are happy to transport people to appointments. Our case managers can transport the client in their own car or a Freedom Home Care vehicle. The case managers stay at the medical appointments and help the client to communicate with their health care provider as well as report back to the client and family and facility social worker if necessary. 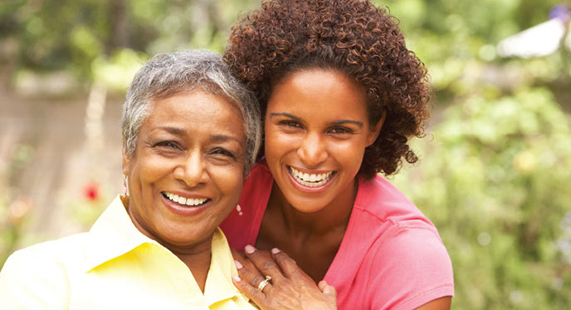 Caregivers can also transport clients for outings, adult day services and much more. At the time of the assessment we determine if these services are needed. If so, we have the client fill out paperwork allowing the caregivers to use the client’s car for transportation if necessary. Mileage fees are only charged if the client is using the caregiver’s personal car or one of the Freedom Home Care vehicles. Do you do an assessment of the client’s home to ensure that it is safe and accessible? Freedom Home Care assess the home to see if it seems safe for the client, but also safe for our caregivers. If the client’s residence is unsafe for our caregivers we will choose not to provide services because we value our team too greatly to put them in harm. If there needs to be modifications made to the home we have those discussions with the client or family, for example if a home needs to have door alarms or if there needs to be a handrail added to a staircase. We can offer resources for families at the assessment about home safety modifications. Do live-in aides get time off? Yes. Generally we will rotate two caregivers on a consistent basis so that the aides are able to have their time away from work. As the patient’s family, what are we expected to provide for the live-in aide? You are expected to provide room and board for the aide. Preferably a private room with comfortable bed and space for personal belongings as well as three meals per day. What does the aide do in the event of an emergency? The aide is qualified to make a judgement about when to call the family, a doctor or 911. Freedom Home Care is available to assist the aide 24 hours a day, 7 days a week. How do you select your employees? When hiring our staff we take care to select the candidates with the best experience, but also the most compelling reasons for wanting the jobs. Since we’ve began focusing on each candidate’s “why” we have weeded out people just looking for a job and have really found quality caregivers looking for a career for which they can be proud. Do you do background checks on your staff? We carefully select only the most qualified caregivers using a multi-step hiring process that includes state specific and national criminal background checks, employment history checks, license verifications, personal reference checks and skills assessments. Caregivers who are not certified nurse aides have to complete a rigorous pre-employment training through the Institute for Professional Care Education. From there, each of our caregiver applicants must sign a confidentiality agreement, pass a competency exam, complete orientation and caregiver training and pass several on-line training modules. Is Freedom Home Care the employer of their caregivers? Yes, Freedom Home Care covers all wages, payroll taxes and Workmans’ Compensation insurance. How do you document specific tasks to be carried out by each caregiver? We create a unique plan of care for each client. The client and/or responsible party signs off on the plan of care. As changes to the plan of care occur, we repeat the process of having the client and/or responsible party sign off on the changes and approve the plan. What types of licensure and oversight requirements are in place regarding your organization? Freedom Home Care is licensed through the MN Department of Health as a Comprehensive Home Care Provider. The Department of Health has a very robust oversight program that includes the initial licensing phase and ongoing surveys at our location. What type of supervision and ongoing quality control do you have in place for your staff? Our team of registered nurses have a combined experience of nearly 110 years! They makes unannounced visits into the client’s homes while the caregivers are working in order to supervise their activities. The RNs help with caregiver skills assessments, monthly employee training, medication management training and they also do on-site training with caregivers at their first shifts with new clients to ensure they are properly caring for each client based on their individual needs. How do you train your employees and provide ongoing training opportunities for staff? We offer monthly training for our caregivers as well as on-line training through the Institute for Professional Care Education. 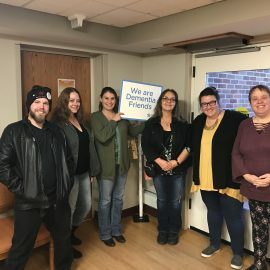 IPCed even offers a unique program that allows us to certify our caregivers in specific care areas such as dementia care, diabetes care and Parkinson’s care to name a few. How much does it cost to have someone come into my home to help me? We do not have a one size fits all cost for our services. We like to discuss all of the client’s needs during the initial assessment, which is free of charge and put together a comprehensive plan that will best serve them. We are very up-front about the costs and payment options prior to beginning services. What is your billing procedure? As is industry standard, Freedom Home Care bills on a weekly basis with payment due upon receipt each week. We also require a one week deposit with all new service agreements. For your convenience, we offer automatic payment drafts from a checking or savings account. Are your services reimbursable through private insurance? Yes, Freedom Home Care will accept long-term care insurance reimbursement after benefit verification from most insurance companies.